What is the best kind of hoe? One of the best ways to weed out, well, the weeds, is the to use a stirrup hoe. 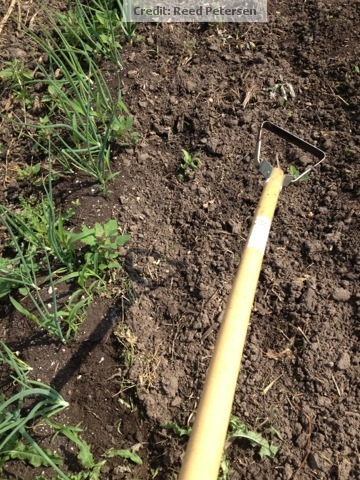 We have nearly completely disregarded the use of the traditional hoe for these wonderful new tools. They go on sale periodically at Menard's. We typically get 4-5 hoes at a time when they are on sale. So that our whole work crew can each have one. Keeping up with the weeds is one of less fun but extremely necessary deeds. If you take care of the weeds early and often you will have a wonderful season and be paid many fold for your time. There is a distinct parallel to the weeds in our lives. If we deal with the weeds in our lives early and often we will live a richer life.